K-pop group Twice will return with the new EP “What is Love” on April 9, its agency JYP Entertainment said Sunday. 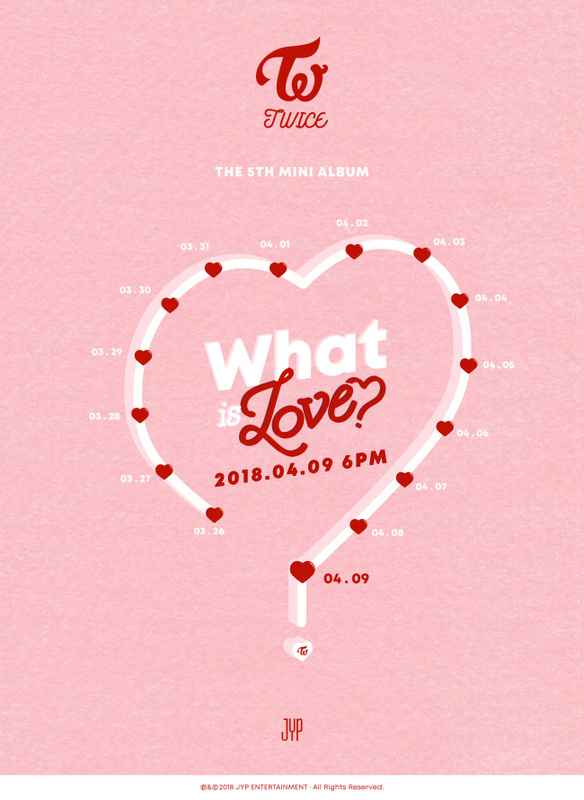 The group’s fifth EP will be fronted by the lead track “What is Love.” The nine-member act will promote the new EP from March 26 until the day of its release, according the agency’s official website Sunday. Twice is also scheduled to stage a series of concerts titled “TWICELAND ZONE 2: Fantasy Park” at Jamsil Arena in eastern Seoul from May 18-20. It will continue its tour concerts in Japan from May 26-27 at Saitama Super Arena and from June 2-3 at Osaka-Jo Hall. The group will perform abroad later this year, including in Singapore. “Candy Pop,” its latest Japanese single, has been certified platinum by a Japanese recording industry association for selling more than 400,000 copies. It became the third Twice song to be certified platinum by the association after its Japanese debut compilation album “#TWICE” and follow-up single “One More Time,” released in October.